Yesterday I was at the gym stretching near a large window looking out over a field. It was covered in snow and very pretty. I noticed a lady out of the corner of my eye coming toward me, she had a big smile on her face and something to tell me. I took out an ear bud and she pointed out a robin sitting in a tree outside the window. We both got very excited and talked about Spring being right around the corner. We went our separate ways, but that robin and her enthusiasm really brightened my day. I was straightening up my craft room today and found a small chalkboard, still decorated for Christmas, and thought it was time for a Spring update. 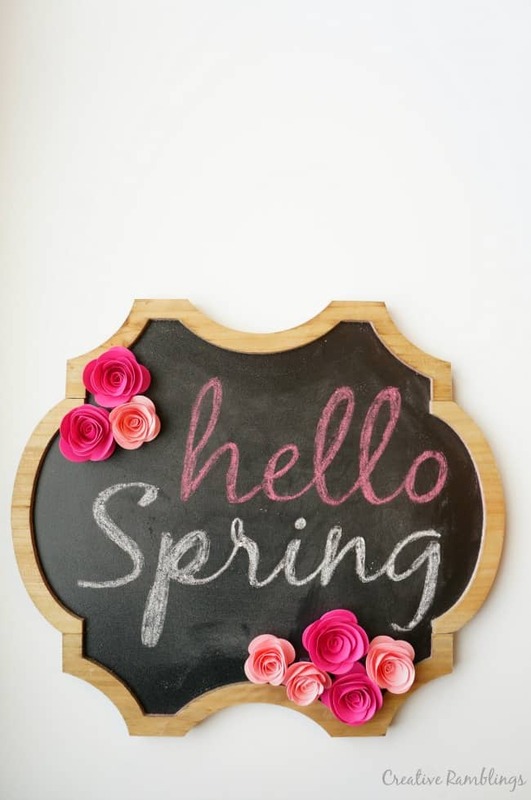 I created a pretty Spring chalkboard with rolled paper flowers because really Spring is just around the corner. I picked up this chalkboard a few months back and have enjoyed its versatility. I last used it as a Christmas decoration. This time around I used my Silhouette to spruce up a pretty Spring message. 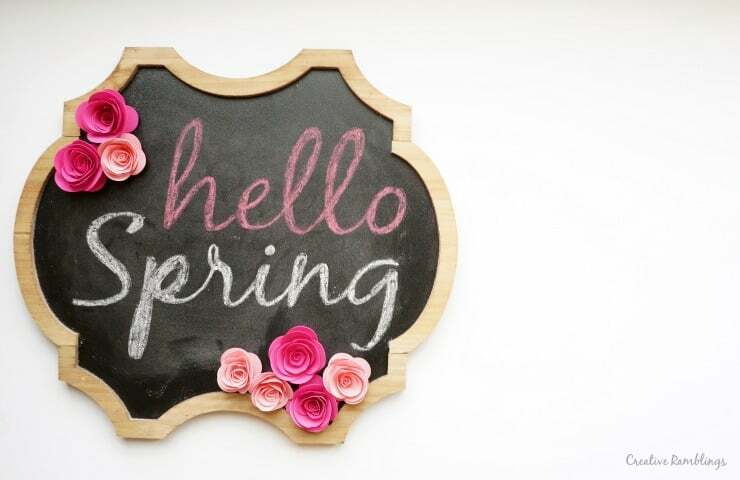 I opened my Silhouette software and typed “hello Spring” then cut it out of card stock. I used this simple stencil to trace the letters onto my chalkboard. 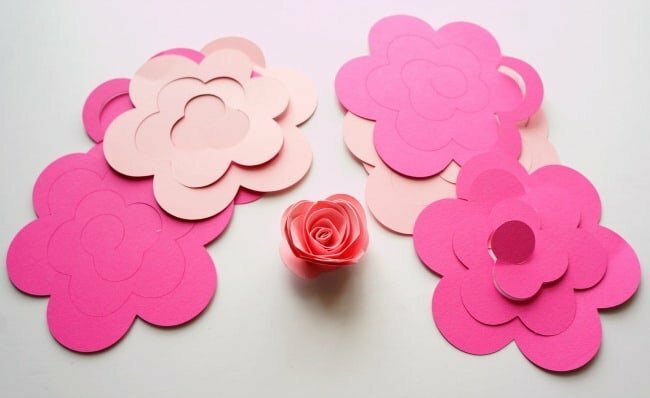 Then I cut paper flowers out of pink cardstock and rolled them into pretty roses. There are many of these types of files available in the Silhouette store, just search for rolled paper flower. As I put this together I could just picture little shoots coming up in my garden and birds chirping outside. Even though it snowed all day today. My mantle is bright and Springy and ready for a fresh new season, whenever it arrives. 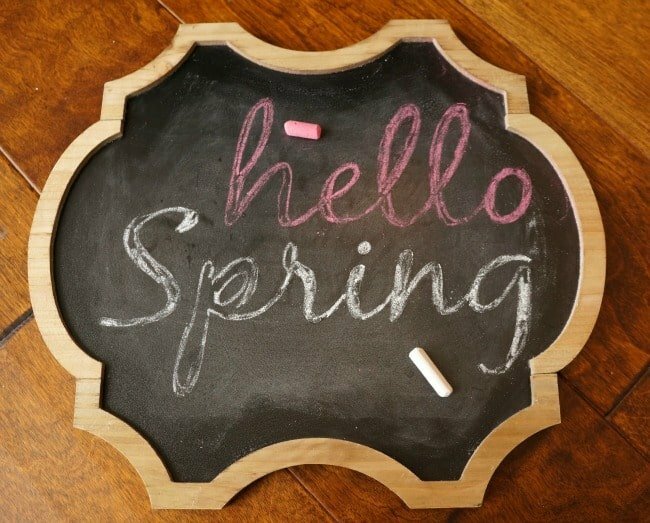 Have your thought about Spring yet? 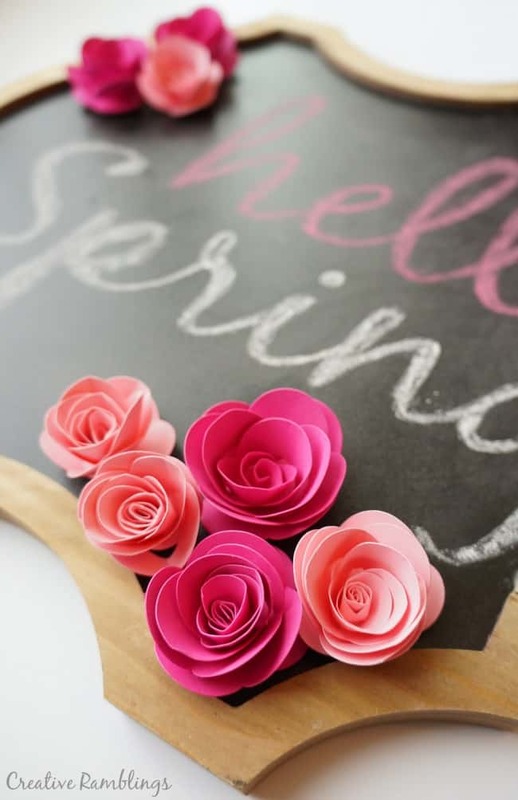 Do you have any decor to get you and your home in the mood for Spring? Gorgeous chalkboard sign, Sarah 🙂 I love those flowers and how you use the cut out as stencil.